10 years on from the financial crisis, Scotland’s economy should be in a position of strength. Sadly, that is not where we find ourselves. A decade of economic mismanagement by the SNP and Conservative governments has seen the Scottish economy fail to recover above pre-crisis levels. The fundamentals of the economy are structurally unsound, and we appear trapped between two economic futures – one of a Tory hard Brexit and the other of supercharged austerity under the SNP’s growth commission. Scotland has lost a decade of economic growth and under current projections that lost decade threatens to turn into a generation of stagnation. The economy has three core structural problems: stagnant GDP growth, low productivity and a severe demographic challenge. Under these conditions, stretched public services, low wages and ever worsening health and social care is the future that Scotland faces. Those in power should be coming up with radical proposals to prevent this lost decade becoming a lost generation. Sadly, their plans fail to live up to expectations. The Tories in Westminster support a damaging Brexit policy that will cut our ties to the EU’s internal market and customs union. The Fraser of Allander Institute, a respected think tank run out of Strathclyde University, has warned that Brexit could mean Scotland is between two and nine per cent worse off in GDP terms. It could also cut the inward migration on which Scotland will depend to boost its population and correct a looming problem in its dependency ratio. Under a ‘no deal’ Brexit, wage growth will go into reverse, the economy will shrink and, worryingly, Scotland’s successful food and drinks exporting industry could suffer as much as 26 per cent reduction in trade. The SNP are no better. Their preferred economic model as set out in the growth commission proposes to reduce Scotland’s budget deficit with an approach that would see spending on public services cut by 4 per cent of GDP over a decade. When compared with the policies of the Conservative UK government, which aims to reduce public spending over a five-year period from 2018/19 to 2022/23 by 0.9 per cent of GDP, the plans set out by the SNP in the growth commission would see spending on public services cut nearly five times faster than the Tories. The strict spending limits the SNP have set themselves means that both cuts in public spending and tax rises will be required to manage the economy. It’s the dictionary definition of austerity. Yesterday I led a debate on the future of the Scottish economy. In it I set out Labour’s alternative, which would see us invest for the long run in our economy. We would raise the minimum wage, abandon a damaging immigration policy based on an arbitrary number and devolve power and funding to Scotland’s cities and regions to allow them to attract the talent they need. I was disappointed that neither the SNP nor the Tories sought to seriously engage with these plans. Instead they carried on blaming one another for the mess we are in. The government couldn’t be bothered to send a Scotland minister, or even someone from the Treasury. They sent the Under Secretary of State for Wales to respond to the debate. The SNP MPs spent their time pointing to the Tories to explain all the ills in the Scottish economy while avoiding their own record of cuts, which has seen them preside over a real terms fall in council funding of 9.6 per cent since 2010/11. They further failed to defend Nicola Sturgeon’s growth commission, which would inflict a decade of super charged austerity on Scotland. The Scottish Conservatives and SNP have found themselves caught together in what they see as a politically useful death roll, playing to their bases and failing to engage with new ideas. Having returned seven Labour MPs from Scotland at the 2017 election and seen our movement go from strength to strength over the last year, it is clear Labour offers the only true alternative future for the Scottish economy. We must continue to make the case. Scotland’s economy has seen a lost a decade – we won’t allow this to become a lost generation. 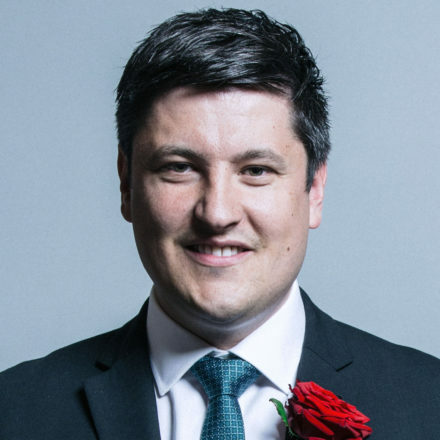 Ged Killen is MP for Rutherglen and Hamilton West.